You know what drives me crazy? Trying to hold my phone and use it for navigation while driving. Or putting it in my lap and glancing down every few seconds. Or trying to put it in whatever car dock I'm using at the time. Or getting the "perfect" car dock, then getting a different phone that no longer fits said car dock. Ugh. You'd think we have this stuff figured out by now. 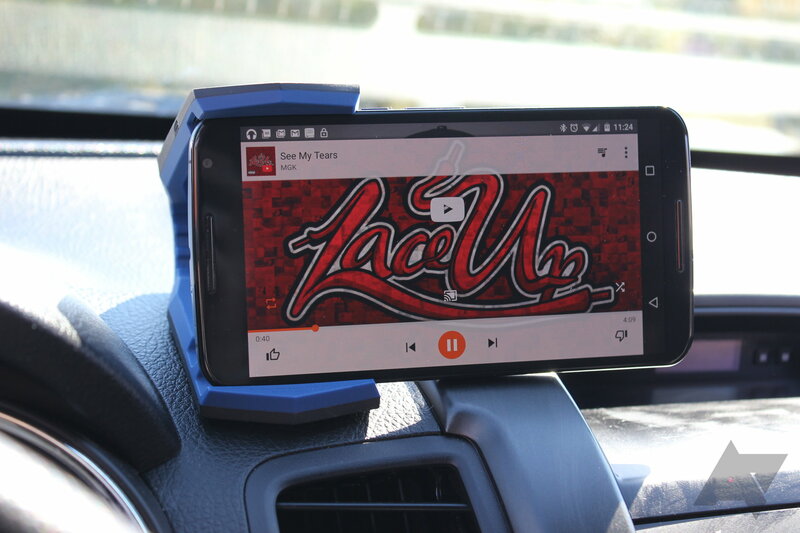 And honestly, I think Spigen actually may have with its new Stealth Car Mount. It fits phones up to six inches — with or without cases — at two different viewing angles, is easy to drop the phone into with one hand, and has an adhesive on the bottom that adheres it to basically any dash.